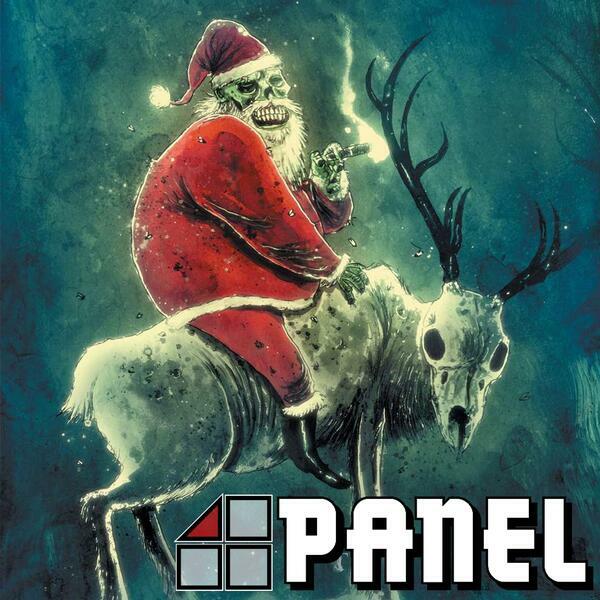 It's the last full-length edition of 4-Panel for 2018, and in the spirit of the season Andrew, Mick and Producer Rob take a look at some Christmas comics. What could possibly go wrong? We mean well. Honest, we really do. So what comics did Santa leave under the tree for us? Well, there's Marvel Two-in-One: Silent Night … Deadly Night! (starring The Thing and Ghost Rider), What The--?! X-Mas Special (Milk and Cookies, Santa Doom, Chaplain America), Evil Dead 2: A Merry Deadite Christmas, The Lobo Paramilitary Christmas Special, Marvel Holiday Special Volume 1 (Yes, Virginia, There Is A Santron, Moleman's Christmas and Christmas Day in Manhattan), and the Wormwood, Gentleman Corpse Christmas Special. One of those threatened to bring down the whole episode. After that we round off this episode and this year with our usual look at comics and manga that we've been reading, and this week we've got Doctor Who: The Phantom Piper, Marvel Platinum: The Definitive Thanos, and Doctor Star and The Kingdom of Lost Tomorrows. We're on a break for the Christmas and New Year period, but we'll be releasing some mini episodes until we're back on the air. We'll see you all in the new year! Like the show and want to see it continue in 2019 and beyond, well, you can help in a number of ways. You can share us with your friends or leave us a rating on your podcast app of choice, and you can also follow us on Twitter @TGS_TheGeekShow, or on other social media by searching for The Geek Show. If you want to show your support then head over to Patreon and give whatever you can, or you can head over to The Geek Shop and partake in some of our lovely wares.